Marx made the best play sets. 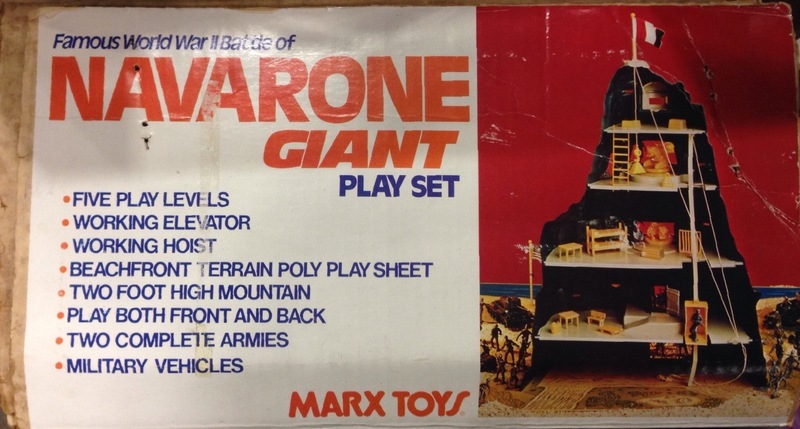 Didn’t matter your favorite toy genre – western, sci fi, underwater, or war – Marx made a set with a giant plastic center piece for you. 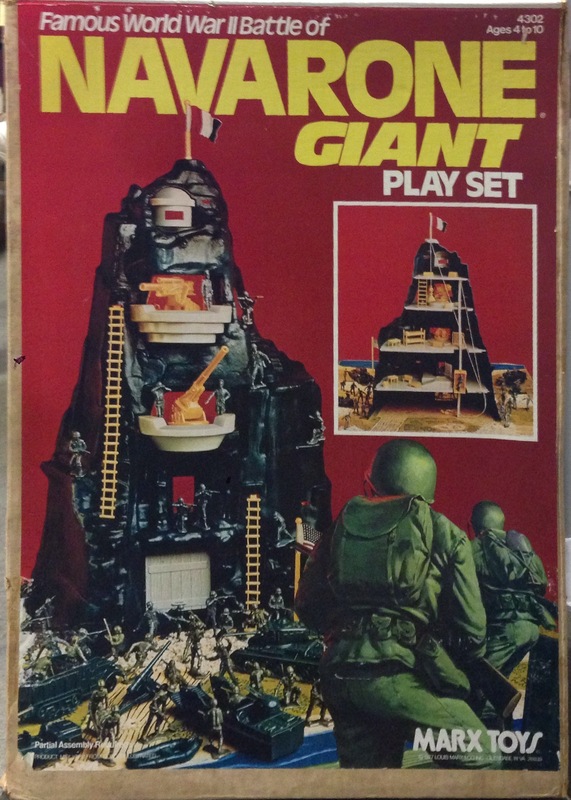 This Navarone Giant Playset is one of my favorites, with the cannons, ladders, and two sets of army men in classic poses, you could act out pretty much any type of assault. The size made it cool, but it also kept Santa from delivering it.